The Hammersley uncovers a sophisticated drug smuggling network, with explosive results. Mike is convinced the Federal Police are covering up the poisoning death of a marine biologist. Kate is jealous of Mikes relationship with Ursula Morrell, while Nikki struggles to restrain her feelings for ET. The crew of the HMAS Hammersley come across an abondonned catamaran in the middle of the ocean, which uncovers the beginnings of a murder mystery. 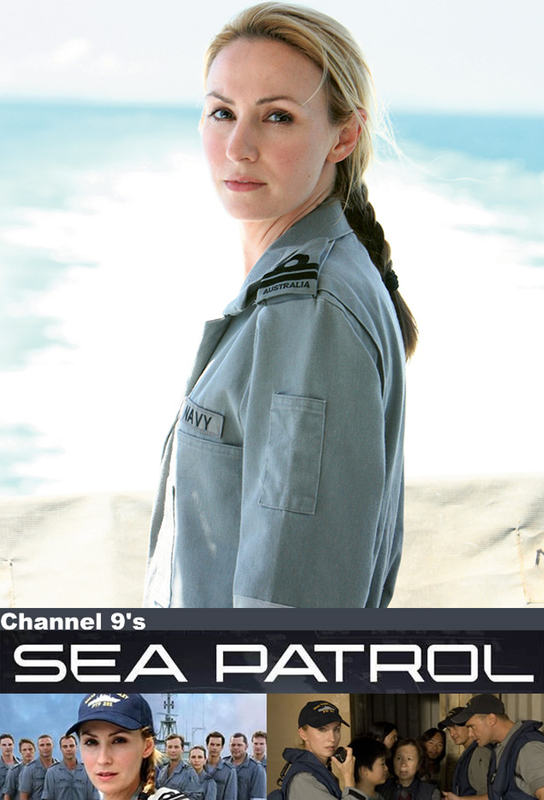 A sailor has gone missing and Nikki puts her navigational sklls to the test in the attempt to find them. The ship is then hit by a cyclone. Mike is torn between saving the life of a missing refugee girl, and the lives of two shipmates bitten by the deadly irukandji jellyfish. While pursuing pirates, the Hammersley rescues a family of illegal immigrants from an unseaworthy ship. The Hammersley attempts the daring capture of an illegal fishing ‘mother ship’ but is thwarted by violent eco-terrorists. Mike finds himself falling in love with beautiful marine biologist Ursula Morrell, who later goes missing under mysterious circumstances. The HMAS Hammersley confronts a series of new menaces in the northern waters from pirates to toxic crabs, not to mention a gorgeous solo yachtswomen with a rescue fetish. The video of Chefos bucks night finds its way into Kates hands and she is humiliated by what she finds on it. The HMAS Hammersley comes across an unexploded sea mine and Spider manages to save the life of a boy who was near the mine, but have Spiders days in the navy come to an end? Disaster looms for the Hammersley crew when a fire erupts in the engine room, after the mascot is stolen by a rival Patrol Boat crew. Meanwhile, an eye injury threatens to destroy Charges career, and ET takes a vow of chastity in a desperate attempt to prove himself to Nikki. The crew pursues a distraught father who has kidnapped his own children. Then, while searching a crocodile-infested swamp for the missing family, the crew discovers a badly mauled fisherman. As the decommissioning of the HMAS Hammersley draws near, the crew risks life and ship to hunt down a rogue terrorist boat and retrieve its cargo of bio-toxins. In ordering the sinking of the rogue ship, Mike makes the most difficult decision of his career.